(c) This is copyrighted material. But anyone can use it, as long as the below text is transcribed in full, and credit is given to me, and a link to my site or its address (below) is also given. It would be courteous if I were also notified of its use at my e-mail below. [START] "I think the time is come where certain things can be disclosed. For the Third Millennium is dawning upon the world, and the epoch has come for the long awaited Third Coming. I don't know if a person called Jesus ever went to India to be initiated. But I do know that a god variously named Issa, Isha, Ichtos, Iesus, Ieshuah, Joshuah, Jesus, etc. is indisputably originary from India. In fact, Jesus' life and, particularly, his childhood deeds were copied from those of Krishna. A well-known instance of this is the so-called Evangel of the Infancy, an apocryphal (i. e. "secret evangel") directly cribbed from its Indian precursor. Even the Church Doctors have recognized this undeniable fact, hiding away such books and rejecting them. But, in fact ALL evangels are really apocryphal, having been written by anonymous writers under the pseudonym of the Apostles. 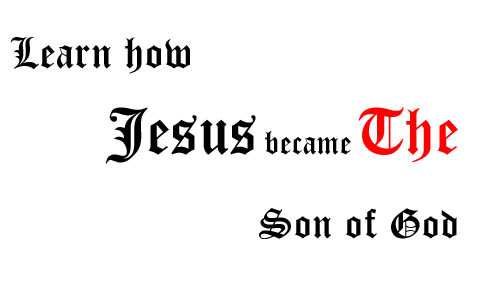 The whole history of Jesus is a fraud, for he never existed at all, at least as a real person. But Issa/Ieshuah is not indeed Krishna, as his name is taken directly from that of Ishvara, "the Lord of the Universe" (Ish-vara, in Skt.). Ishvara  pronounced "Ishwar"  is also called Ishva ("Lord"), pronounced "Ishwa". The name of Ieshua or Ioshuah means "Saviour" in Hebrew, and is taken directly from the above Sanskrit term, which also has this acception, particularly when applied to Vishnu and to Shiva. Ishvara (Ishwar) is widely worshipped in the Far East, being also called Isha (or Ishana) in India, Issara in Pali, Isuan in Thai, Jizu (or Jizai) in Japanese, and so on. In turn, Issa (or Issi) is a corrupted form of the Skt. Rishi (or Riksha). Issa is how the Muslims call Jesus Christ, whom they acknowledge as a sort of saint. The Rishis are the "Sages" or "Seers" who revealed the Vedas (Hindu evangels) to the world. They date from Vedic times in India, being far older than the times of Christ, and even of Israel as a Biblical nation in Palestine. The Rishis are widely worshipped in the Far East, whence their cult passed to the Near Orient and, thence, through Alexandria, into Greece and Rome. The several etyms of the name of Jesus/Issa in Sanskrit reveal the Indian origin of both his myth and his onomastic. Isha (or Ishan or Ishwa) means "Lord", as we already said. Emmanuel or Manuel derives from Manu-el, that is "Lord Manu", meaning "Saviour Lord". Ishva (read "Ishwa") means "Master" ( = Rabbi, a frequent designative of Christ). Ishi (or Isha) means "Rishi", that is, "the one who reveals the Evangels", like the Seven Rishis, who preceded him, and whose myth he copied. The Essenes  from whom most of the doctrines allegedly preached by Jesus were copied  called such initiates and prophets by the name of Issar (plural Issarim). In Sanskrit (the sacred language of India in which such myths were composed) many etyms are telltale of the true origin of the myth of Christ. In it, Ishu means "missile" and, more exactly "envoy", "messenger", emissary". Jesus/Ishu is thus "the Celestial Messenger" or "Angel" (Angelos in Greek means just this), the avatar commemorated in the Mass (Latin Missa = Emissa = Emissary"). Isha also the same as Rishi (or Riksha or Rishabha), meaning the sacrificial bull (or lamb) that represents the Saviour in many ancient traditions, as well as in Christianism. Isha also means the Elixir (Soma), to which Christ is mystically identified. In fact, Soma is an ancient Hindu god whose sacrifice  the same one aped verbatim in the Christian Mass  results in the production of the Elixir (or Eucharist), precisely as in Christianism. Ishta  a variant of the name of Christ as the Ichthus (or "Fish", in Greek)  means "the Sacrificed One". In fact, the Fish  who was early the symbol of the Eucharist and of Christ himself  is an avatar of Krishna as the Fish (Matsya) that saved Manu from the Flood, precisely as in the Judeo-Christian myth. The mystic identification of Christ with the Fish (Ichthus) is phonily explained as an abreviation of the Greek phrase: Iesous Christos Theou Uios Soter ("Jesus Christ Son of God, Saviour"). But this is obviously a mere contrivance  very poor at that  to explain Christ's mystic connection with the Fishes of Pisces. As we already said, Jesus/Ichthus is the god of the era of Pisces, the zodiacal era that is now ending, along with his cult. In fact, the Greek word Ichtus ( "Fish") was used to designate the Oannés, the legendary 'fish-people" who were the alleged Saviours of the Sumero-Babylonians, as well as other equivalent fish-deities, both male and female, such as Dercetto and Dagon. Moreover, the crossed fishes of Pisces were used directly to symbolize Jesus Christ. And he himself affirms that his zodiacal sign, the one that represents him, is "the sign of Jonah". That sign is the Whale or, more exactly, Pisces (Mt.12:39; Luk. 11:29). Even the story of Jonah and the Whale that Christ here mentions was cribbed directly from India, from the myth of Matsya. The Hindu origin of the myth of Jesus Christ is further attested by the well-known tradition that has been widely circulated about his miraculous escaping to India (as Issa), where he lived to an old age with his wife and children. Other traditions tell that Jesus, as indeed all great initiates before and after him, went all the way to the Indies in order to receive his initiation into the esoteric secrets of the ancient Mysteries. As we just said, the whole pseudo-history of Jesus Christ  who is not mentioned in ANY contemporaneous historical source, except in some fraudulently interpolated passages of Josephus and others  was cribbed verbatim from Hindu sources, including certain phony passages such as the killing of the innocents, the "virgin birth", the Christmas Star, the visit of the Magian Kings, the episodes concerning John the Baptist, and so on. Most of these have an esoteric sense in Hinduism, which became lost when they were adapted to the "person" of Jesus, and which we are not allowed to explain here. The Seven Rishis  who are often identified to the seven stars of Septemtrio (Ursa Minor) or of Ursa Major  are often alluded to in the Bible and in the Gospels in connection with these constellations, said to be their Celestial representations (Rev. 1:16; 1:20; 2:1; 3:1; Amos 5:8; Zech. 3:9; etc.). This is "the mystery of the Angels of the Seven Churches" mentioned there, and who are the Seven Manus (or"Saviours" or "Angels") of the seven eras of humanity that have already elapsed in the Hindu scheme that is indeed followed by all ancient nations. Every time a new zodiacal era starts  as is happening now that we are entering the Era of Aquarius and the Millennium  an angelic Saviour (or Manu) descends in an avatar ("descent", "coming", "manifestation") in order to "save" humanity and make safe our crossing into the new era. It was thus with Jesus ("Saviour"), and it will be so soon, when we enter the Third Millennium and our new lord  whose secret name cannot yet be disclosed  manifests himself to all. It is also no coincidence that Jesus was also called Emmanuel (or Manuel), that is, "the Lord Manu" (Manu-el). Christianism as a religion was contrived in Alexandria for the new era that was starting, the one of Pisces, the Fishes. It was composed from the fragments and secret traditions (the Mysteries) of the older Mystery Religions, particularly those of the Orient, by the sages that then congregated there from all nations. There were many religions contending for supremacy then, including, among others, Mithraicism, Essenianism, Osirianism, Serapianism, the Mysteries of Isis and Osiris, the Orphic and the Eleusinian Mysteries, and so on. Christianism  assembled from these Mystery religions and, originally, from the Gnostic traditions  eventually won the dispute and gained the favour of Emperor Constantine, becoming the official religion of the Roman Empire. But, to achieve that hegemony, it became devirtuated, and cut with the Gnostic tradition. It then began a ferocious persecution of the other religions, particularly the ones that followed the ancient Mystery cults. The Church branded these cults with the stigma of "heresy", burning the "heretics" at stake, together with their holy books. It is in consequence of this ferocious censorship that we know so little about the ancient Pagan Mysteries. The rest is History: the persecutions of Manicheism and other such "heresies"; the infamous Crusade against the Cathars; the Holy Inquisition; witch burning; the genocidal evangelization of the New World, and so on. Yes, with time, religions too become old and corrupt, and need a refreshing restart. That is why they have to be changed and renewed periodically, like the Phoenix. As we said above, this was already occurred seven times  the "Seven Days of Creation"  and now we are in for the eighth avatar of the present cycle of twelve zodiacal eras. Eight is the number of perfection, the one which closes the present cycle with the golden key. This Golden Key is the brief (millennial) return of the Golden Age. Such is the secret of the Mystery of the Seven Angels of the Seven Churches. Churches are founded one per era, and are dissolved when their era ends. The Catholic Church  and the name Katholikos means "Universal" (in Greek)  well knows this inevitable reality, which she attempts to evade at all costs. Such is the reason why she censored away the "heretic" books of the Gnostics ("Those Who Know"). She, old and decrepit, tries to hold her position like the Whore of Revelation, the great prostitute at the service of those who exploit and enslave not only the lesser nations and the minorities, but even the people of the larger nations. In order to enforce its dominion, the Catholic Church turns one nation against the other, one race against the other, one religion against the other, one person against his neighbour. Dividere ad imperare, that is her lemma.